One of the great things about kayaking is it allows you to explore areas that have water access only. With kayaking, you can go to places that hiking won’t allow. Kayaking adventures allow for longer trips in some amazing locations. As with hiking getting lost is a real risk for kayakers, but there is a way around that. The best kayak GPS will give you the freedom to explore the waters without fear of getting lost along the way. A kayak GPS will not only help you plan your course, but it will also help make sure you stay on course. There are many different benefits of GPS in kayaks including the ability to keep you safe, track your kayak, and keep others up to date on your current travels. Kayaking can be a fun and exciting adventure, but it can also be dangerous as you are often alone on open water. One of the best ways to ensure a safe and exciting kayak adventure is to take advantage of kayak GPS. There are several benefits of GPS in kayaks, which we are going to outline below. Installing a GPS tracker in your kayak is one of the best ways to protect yourself on your kayaking adventures. The benefits of GPS in kayaks allow you to be personally tracked in the event you are thrown from your kayak and unable to call for help. Friends and family members can use the GPS to track your kayak, which gives them a good starting point if they have to search for you. Installing a GPS in your kayak as we stated above allows you to track your kayaks location. This comes in handy in the event that your kayak is stolen. The GPS provides you with the location of your kayak and allows you or the authorities to retrieve it. One of the least talked about benefits of GPS in kayaks is the ability to share your travels with others. Using a GPS tracker your family and friends can easily follow your adventures, but only if you are using a real-time GPS. GPS trackers in kayaks allow other members of your party to catch up if they fall behind or want to meet up during the middle of your adventure. Why can’t you use a Phone as GPS while Kayaking? Ideal Place for Kayak GPS? Is Kayak GPS Good at Night? Is GPS same as Fish Finders? Why use a Kayak GPS? Do I still need to Bring my Compass and Map? Will my Kayak GPS have a Nautical Chart? Should I Attach my Kayak GPS? Do I need a Waterproof Kayak GPS? Here are quick reviews of some of the best Kayak GPP for you. 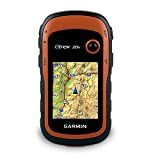 The Garmin GPSMAP 64st is by far the most popular kayaking GPS available, with over a thousand reviews. It has a 2.6-inch color screen which is sunlight-readable with high sensitivity GPS and GLONASS receivers. These receivers mean that your position will be accurate even in deeply forested areas or even canyons, which means that it can also be used for hiking. It comes preloaded with 250,000 caches from Geocaching.com for paperless caches. These caches store details about the terrain and difficulty of paths and trails around you. It also comes preloaded with TOPO US 100K maps. In addition, it comes with a 1-year free subscription to BirdsEye Satellite Imagery. It also uses a barometric altimeter to tell you your elevation and altitude at each point. You can also connect it to your smartphone, plan routes, and share satellite imagery. It has a battery life of 16 hours. 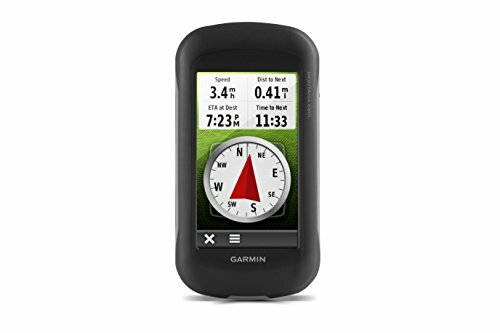 Garmin is a popular and reputed brand for a number of kayaking GPS devices. It can come with a 3.5 inch, 5 inch, or 7-inch display with a button keyboard for easy use and a tilt/swivel mount. It also has a waterproof resistance rating of IPX7, which means it can be submerged in 1 meter of water for up to 30 minutes without any issues. This means that occasional water falling on it or even a storm won’t hamper your kayaking. You are able to mark waypoints and remember obstacles on the screen and can even have the Striker 4 create paths between waypoints. It also doubles as a fish-finder and has a CHIRP transducer (77/200kHz), which means that you can get extremely detailed images of the fish or underwater obstacles beneath you at high speeds. The fishes are marked with special icons to make them easier to see and you can use its depth finder to determine the depth of objects in the water. It also comes with a water temperature sensor. It can show images up to a depth of 1600 feet in freshwater and 750 feet in salt water. 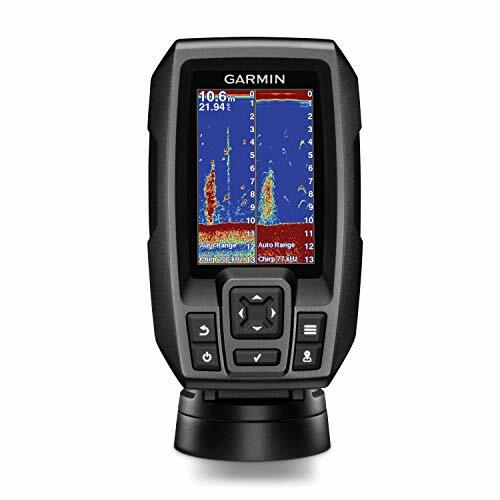 This fish finder by Raymarine also serves as an excellent GPS device and has high ratings, despite being more expensive than many other available models. It has an LED backlit display which is suitable for use in all weathers and comes in 4 inch, 5 inch, and 7-inch variants. It is designed so that it is clearly visible at wide viewing angles. There is no internal fogging. It comes with preloaded Navioncs+ maps of all US and Canadian coastal areas along with maps of over 20,000 lakes. These maps are supplemented by its CHIRP DownVision technology which uses CHIRP data to create accurate photos of underwater obstacles and fish. It can work up to a depth of 600 feet. It also has a dual-channel which you can use for sonar images along with the CHIRP ones. 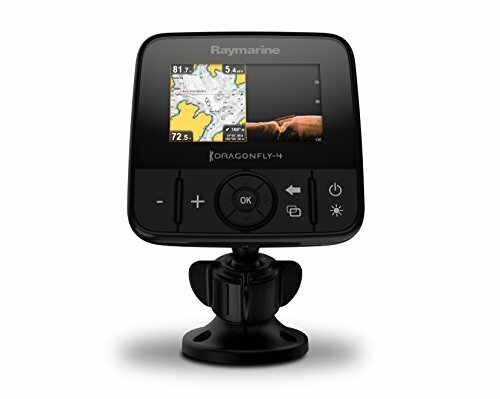 You can also connect the Raymarine Dragonfly Pro to your phone wirelessly with Raymarine’s Wi-Fish app. This app offers Augmented Reality navigation that overlays marked waypoints and obstacles onto real-world footage in front of you. 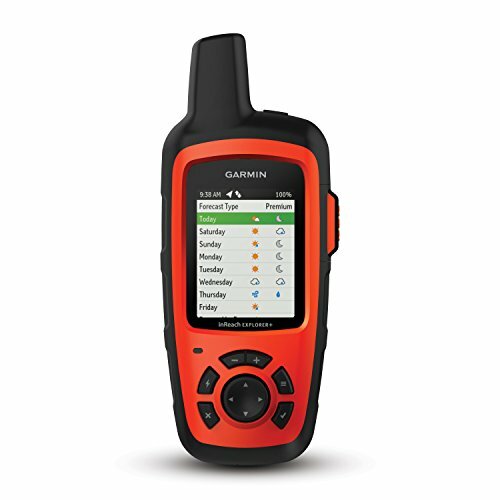 The Garmin inReach Explorer+ is a great outdoor GPS not just for kayaking but for outdoor enthusiasts in general. It has a water resistant rating of IPX7 which means it can be used while it’s raining. You can also get weather updates on it. It comes with preloaded DeLorme TOPO maps which have GPS routing and also features a built-in digital compass, accelerometer, and a barometric altimeter to determine your altitude. It has a two-way texting capability and it uses a global Iridium satellite network, which requires a subscription plan. This lets it work even in fringe areas beyond cell tower coverage so that you never experience a blackout. It also has an important safety feature that lets you send SOS messages. The InReach Explorer+ can also sync to your phone using the free Earthmate app, letting you use all the InReach features on your phone. The app also gives you access to unlimited maps, US NOAA charts, and aerial imagery. It can also connect via Bluetooth and lets you share your location with family and friends. 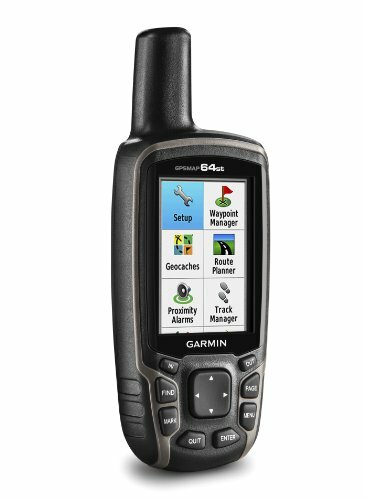 The Garmin 72H is a high-sensitivity handheld GPS which can quickly find your satellite location even in tricky locations, like heavily forested areas or deep canyons. What makes it so good for kayaking is that it is both water resistant (IPX7) as well as lightweight enough to float on water. It has a 120 x 160 pixel greyscale display and offers built-in data such as tide information, sunset/sunrise timings, and even a hunting/fishing calendar in case you intend to use your kayak for fishing. It has a battery life of 18 hours. A definite setback is that the Garmin 72H doesn’t come with street or terrain maps. 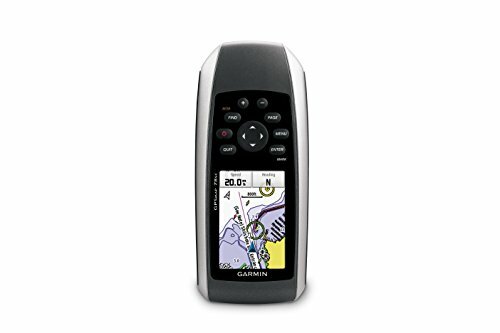 However, you can save 500 of your favorite locations on both land and water and use the 72H to point you the way there. This rugged touchscreen GPS has a 3-inch diagonal display which comes preloaded with US topographical maps and a shaded relief base map. Its display resolution is 240 x 400 pixels. If needed, it also has a camera with 3.2-megapixel resolution and 4x digital zoom. It is waterproof (IPX7) and has a battery life of 16 hours. Its inbuilt features include a tilt-compensated 3D compass and a barometric altimeter that can measure the pressure around you to give you your altitude. 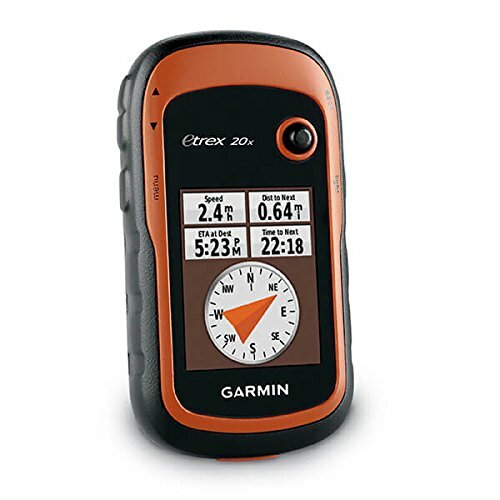 It can store up to 2000 favorites/waypoints and 200 routes. It is Geocache friendly and is compatible with custom maps that you may want to put onto it through its highspeed USB and NMEA 0183 compatible interface. It comes preloaded with US topographical data for the continental US. Map details include national, state and local parks and forests, along with terrain contours, elevation information, and points of interest. Finally, it comes with a hunting/fishing calendar and sunrise and sunset information. 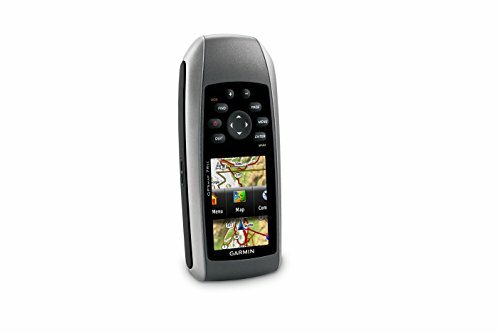 The Garmin Montana 680t has a number of features packed into it. First, the basics: it has a 4-inch dual-orientation touchscreen display which is glove-friendly, which will make it great for using with gear or even regular gloves on. It has an 8-megapixel camera which also automatically geotags all your photos. It not only tracks your GPS location but also your GLONASS location and comes with a 3-axis compass and a barometric altimeter that can tell you your altitude. It comes preloaded with US TOPO 100K maps and a 1-year subscription to BirdsEye Satellite imagery. You can also upload your own custom and paper maps onto its 8GG memory/history by using its high-speed USB and NMEA 0183 compatible interface. It can also access and download from 250,000 geocaches from Geocaching.com. 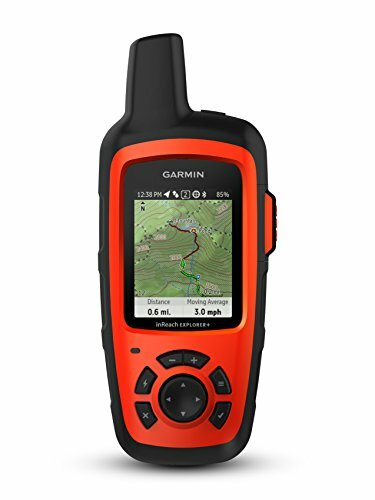 You can add up to 4000 waypoints, favorites, and locations and up to 200 routes, which can also be shared wirelessly with other compatible Garmin GPS devices. It has a battery life of up to 16 hours with lithium-ion batteries or 22 hours with AA batteries. It is also waterproof, with a water resistance rating of IPX7. The Garmin eTrex 20x features a 2.2-inch display with a 240 x 320 pixel resolution and a sunlight readable display. It is water resistant, with an IPX7 rating, and has a long battery life of up to 25 hours. It has a high sensitivity WAAS-enabled receiver that is both GPS and GLONASS compatible and can track your location in the most secluded places. It does not come with preloaded maps but you can upload many different kinds of maps onto its 3.7 GB memory or through a microSD card. Compatible maps include TOPO 24k and Garmin HuntView for trails and Bluechart g2 for water routes. You can also use CityNavigator NT map data for turn-by-turn maps on roads after you mount your device. It also supports BirdsEye Satellite imagery, for which you will need to purchase a subscription. It is also Geocaching compatible. Unlike some of the other Garmin GPS devices, this one is made for people into kayaking and watersports. It comes with preloaded BlueChart g2 coastal charts and a world base map with imagery. These maps cover details such as shorelines, depth contours, navaids and more for the entire U.S. as well as the Bahamas. It also has a water resistant rating of IPX7. It has a 2.6-inch display and high-sensitivity WAAS-enabled receiver for GPS along with HotFix satellite prediction which decreases satellite acquisition as it predicts satellite position with gathered data. It is also Geocaching compatible. You can even add maps using a microSD card or BlueChart g2 preloaded cards. For use in a city, you can add City Navigator NT map data for turn-by-turn route information on roads. The GPSMAP 78sc also supports BirdsEye Satellite Imagery, although you’ll need a subscription. Other built-in features include a 3-axis tilt-compensated compass and a barometric altimeter which pinpoints your altitude. It tracks pressure which can also help indicate future weather conditions. 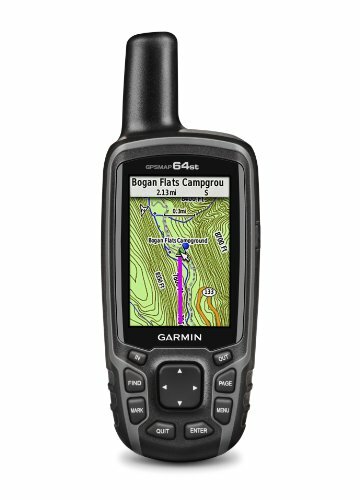 Finally, you can connect the device to your computer or the internet through Garmin Connect to get an analysis of your activities and routes used. The most important things to keep in mind while shopping for the best kayak GPS include the water rating, display size, support offered, mapping, memory, and battery life. As your personal safety is on the line you want to have the best kayak GPS available. The question though is how do you know you are getting the best kayak GPS available? When it comes to determining which kayak GPS to buy keep the following features in mind. One of the most important features to consider is the water rating in kayak GPS. If you want the best kayak GPS you have to consider the water rating because the unit is going to spend a lot of time on the water. Water rating is basically how well the unit is going to tolerate water. Some units are water resistant, which means they can handle being splashed with a small amount of water or a tiny amount of rain, these units do not make the best kayak GPS choices. Kayak GPS units are going to get wet, there really is no way around that. The best kayak GPS units will be completely waterproof, meaning you can fully submerge them without damaging the inside of the unit. To determine the actual display size of the kayak GPS you will need to measure the screen diagonally. The display is usually given in inches. Most kayak GPS units offer a 2 to 5-inch display size. To find the best kayak GPS you need to take a few things into consideration when it comes to size. The first thing you need to determine is if you plan to mount your GPS or if you plan on carrying it in your pocket. Mounting the GPS often requires a larger screen size as you will be sitting further away. The second thing you need to consider is if you plan to use your GPS for a variety of activities. The more activities you plan to use your GPS for the more compact size you will need as it makes it easier to transport. The software your GPS uses will vary based on the unit you purchase, as well as where the GPS is manufactured. GPS units from the US rely on 31 different satellites to provide you with tracking of your current location. This kind of support isn’t bad, but there are other options out there. Many GPS companies use a Russian system called GLONASS in conjunction with their other systems, as combining the two provides the GPS with 24 additional satellites to give you the most accurate readings. Another support system to look for in the best kayak GPS units is a Wide Area Augmentation System or WAAS. This support system is designed to correct the slightest errors in your readings. Higher end units will also provide weather readings. The entire point behind a GPS is to track your location on a map so you know your current location at all times. When selecting the best kayak GPS you need to find a unit that offers a world base map, you don’t want just something with a local map. You can also look for units that offer you the ability to download additional maps that can be stored on a micro SD Card and uploaded into the GPS when needed. Storing data on a micro SD card is a great option, but you can run into the storage space being too small. The best kayak GPS units will provide you with the ability to use satellites directly to provide you with the data you need. This type of program requires a subscription, usually, the first few months are included with your initial purchase so be sure to look around for the best option. You need a GPS that offers plenty of memory or one that has the ability to hold a memory card as that will increase the memory of the unit. The more memory you have, whether it’s built-in or memory cards, the more maps, trails, and waypoints your can store directly on your device. The last thing anybody wants is for their GPS to suddenly die in the middle of nowhere. When purchasing a kayak GPS you will want to look at the average battery life, the longer the battery life the better. You will also need to consider how you will be charging the unit. The type of battery GPS uses should also be considered. Li-ion batteries are rechargeable, but sometimes you might not be in a position to recharge them. Ordinary disposable AA batteries used in devices are ideal for trips where you will be away from electricity for an extended period of time. A GPS system uses signals received from at least three satellites orbiting the Earth to pinpoint your exact location, but a fourth satellite is needed to determine altitude. GPS, which stands for Global Positioning System, is a satellite system that is owned by the United States Government. The system uses 24 satellites that orbit the Earth. Each satellite can circle the Earth two times during a 24 hour period. These satellites then send signals to your GPS unit. A GPS unit is used to pinpoint your exact location using signals from the various satellites. The GPS unit only needs to lock onto three satellites in order to determine your basic position, but a fourth signal is needed to be able to determine altitude. The location can be pinpointed within give or take of 10 meters of your current location. Although the GPS system was originally designed by the United States Government for military use, including locating submarines, it is now quite popular all around the world. People from all around use the GPS system for a variety of different sports and activities, including kayaking, fishing, golfing, etc. GPS does so much more than just pinpoint your current location, it also shows you the current direction you are heading, will provide you with directions to a specific location, and can even determine how fast you are traveling to help estimate your time of arrival. You can’t use a phone as GPS while kayaking because phones rely on wifi networks or cellular networks to transmit data and they do not have the ability to store your maps. Phones cannot be used as GPS while kayaking for two different reasons. The first reason as to why phones can’t be used is because most smartphones require you to have wifi coverage or access to the cellular network, which isn’t always possible while out on the water because you often find yourself out of range. A GPS device receives the signal directly from the satellite, so you don’t have to worry about any kind of network connection. The second reason is that phones don’t store your maps, they rely on wifi signals to send the current coordinates to your map. The ideal place for kayak GPS is mounted or attached directly to your kayak, but it must be either waterproof or inside a waterproof case. One of the biggest questions is where to keep your kayak GPS. The answer to that question will vary based on what kind of GPS you end up purchasing for your kayak. Waterproof GPS devices can be attached or mounted directly to your kayak without any negative side effects. If the GPS unit is not waterproof you will need to purchase a waterproof case designed to protect the unit as it will get wet in your kayak. Many waterproof GPS units come with mounting equipment, but if it doesn’t you can find cases or covers that can be mounted with your GPS safely inside. A kayak GPS will work at night, but it will not be as effective as it is during the day after the sun has fully risen. A kayak GPS can work at night, but it isn’t as effective. It has been shown that the darker it gets the slimmer the chance your GPS will work. Kayak GPS works best during the brightness of the day once the sun has fully risen. As the sun sets and begins to rise you will notice that your GPS is not fully effective. If you plan on using the kayak GPS at night you will want to purchase a unit that offers an LED backlight. A kayak GPS needs to be waterproof or put into a waterproof case because the unit will be directly exposed to water with the possibility of falling overboard. Being waterproof is probably the most important feature your kayak GPS can have. The reason why it’s so important is that as a Kayak GPS your device will be exposed to water. The water your GPS comes into contact with may be from splashing, rain, or even a fall overboard. Having a waterproof GPS is important because you need your GPS to still function after it comes into contact with water and you want it to be fully functioning. A true waterproof GPS will fully function after being fully submerged in water for an extended period of time. Water resistance levels are expressed using the IP code system, the higher the IP rating the better. GPS is not the same as a fish finder. The GPS maps the land while the fish finder maps underwater landscapes. The short answer to this question is that no GPS is not the same as a fish finder. A GPS uses signals from a satellite to transmit information and maps the land. A fish finder uses sonar technology to map the underwater landscape. The solar technology used by fish finders uses energy that pulses off of things underwater to transmit the image onto the screen of the fish finder. Using sonar technology you can find models that give a very precise image, which can include the size and type of fish swimming in the area. Fishfinders also have the ability to provide you with depth information and water temperature. GPS does not act as a fish finder, but it can still be useful in fishing as you can use it to mark specific points, so you can find specific locations again. Buying the best kayak GPS can be a bit overwhelming, here are the answers to five of the most commonly asked questions. Using a kayak GPS is a great idea because it shows your exact location. Using a kayak GPS, as long as it is functioning properly, will prevent you from ever becoming lost. The GPS prevents you from becoming lost as it uses real-time data from satellites to give you a precise reading of your current location. You never want to leave behind a compass and a map. Although a kayak GPS can provide you with your exact location and show you the route you need to take it is still an electronic device. Electronic devices require some kind of power if there is no power the device will not work. Electronic devices can also malfunction. While a GPS is useful, you should still carry a map and compass as a backup. Not all kayak GPS comes with a nautical chart, although some models will. If you want a nautical chart for your GPS you will need to research the features offered on the models you are considering. Nautical charts are a great addition to your kayak GPS as they can provide you with a lot of useful information for your kayak trip that regular maps do not. If at all possible your kayak GPS should be mounted or attached to your kayak in some way. Some models will come with a mounting kit, while others will require you to buy a mounting case. You need to mount of attaching your kayak GPS to prevent it from falling overboard or getting lost. As your kayak GPS is going to be exposed to a lot of water, whether it’s from the weather, splashing from paddling, or a trip overboard, you need it to be waterproof to ensure it keeps function. Water resistance ratings vary but are indicated by an IP rating code. The higher the number the more water resistance they are. Kayak GPS tracker apps are apps that can be downloaded and used with a smartphone. These apps provide GPS tracking, as well as other important data, for kayakers who do not wish to use a kayak GPS. Although a kayak GPS is the best choice for most kayakers, not all will agree. Many kayakers find that using a kayak GPS tracker app on their smartphone is just as helpful as an actual GPS. One of the best apps that work with both iOS and Android is Google Maps GPS, but there are several other choices in a variety of price ranges that perform the same services. The best kayak GPS tracker apps do so much more than just provide GPS navigation. These apps will also use real-time data to create interactive graphs that you or your family can use to track specific trips. Some apps will provide you with a global database of information that other kayakers have uploaded, such as plotting points for the best launch places. Kayak GPS tracker apps serve as logbooks, as well as guides. 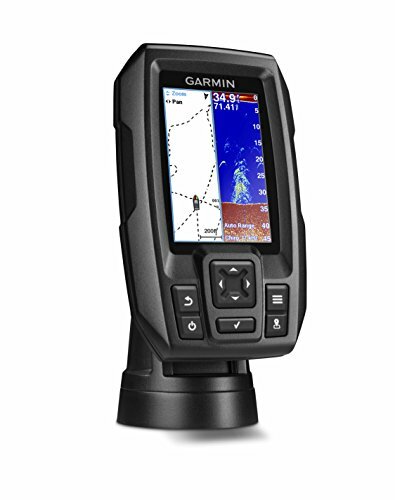 A kayak fishfinder GPS combo offers both services in a single unit. The benefit to using a combo is you have the ability to track above and below the water. 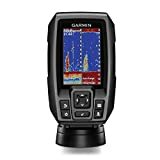 As the name suggests a kayak fishfinder GPS combo is just that, it is a single unit that offers both GPS tracking and fishing finding abilities. Many people often think that a fish finder is the same thing as a GPS and vice versa, but they are wrong. A fish finder uses sonar technology to track and map things under the water, while a GPS relies on signals sent down from satellites to provide coordinates of your exact location on land. A GPS is used to prevent you from getting lost, while a fish finder helps you find fish or other objects located under the water. The benefit of using a kayak fishfinder GPS combo unit is that the built-in GPS will allow you to navigate on top of the water, as well as mark the information about the different fishing locations. While the sonar technology will bounce signals off the bottom of the water to provide you with locations on the fish. Kayaking can often let you access areas that you just wouldn’t be able to on foot, such as densely forested regions. Or sometimes you may just be in the mood for a water sport, and not necessarily want to make it part of a bigger trip. In either case, kayaking GPS is a must. It lets you keep track of locations, mark important spots, and create routes for you so that you don’t get lost. They can even have additional capabilities such as being able to send an SOS message in an emergency or, more benignly, let you locate fish under you if you’re using your kayak for fishing. A good kayaking GPS is, therefore, not only necessary but can make your trip much easier. Here’s a list of the best, most highly-rated, and popular kayaking GPSs available. Our list of best Kayak GPS includes everything from the most bare-bones GPS to devices which even double as fish-finders. They cover a broad range of the price spectrum, which means that you’ll be able to find a high-quality kayaking GPS no matter what your budget. So all you need to decide the features you want and find the GPS that corresponds to them for the best match.